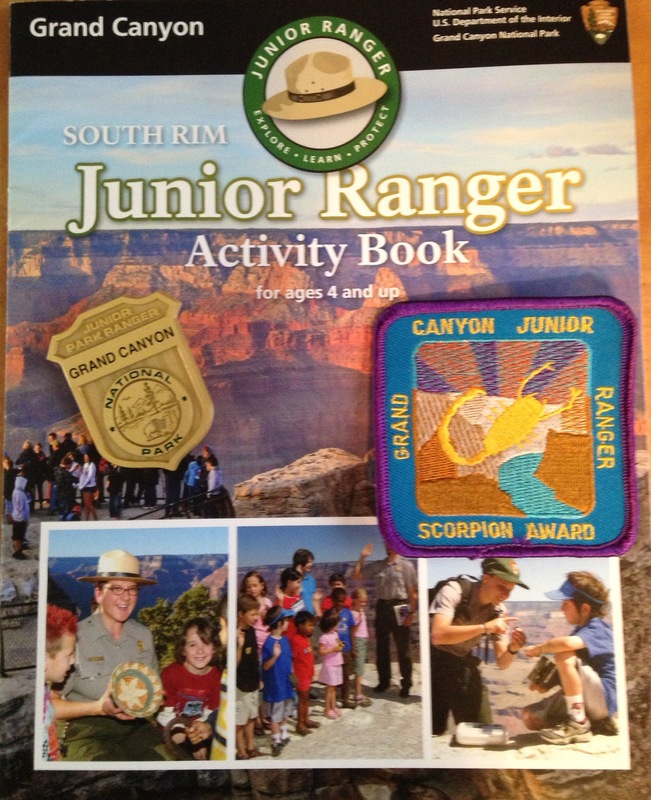 Having completed the North Rim and Phantom Ranch Junior Ranger programs I was looking forward to completing the one for the South Rim. Two days were planned for our visit this trip so there would be time for me to complete this program. Even at this late date in August the campground was full,both nights, and the shuttle busses were often standing room only. The weather was perfect; overcast and 70* the first day, then clear and 80* the second day. Much better than the 100 plus degrees we left behind in Tucson. This program is Senior Friendly, the oldest age grouping is listed as Ages 11 and up. 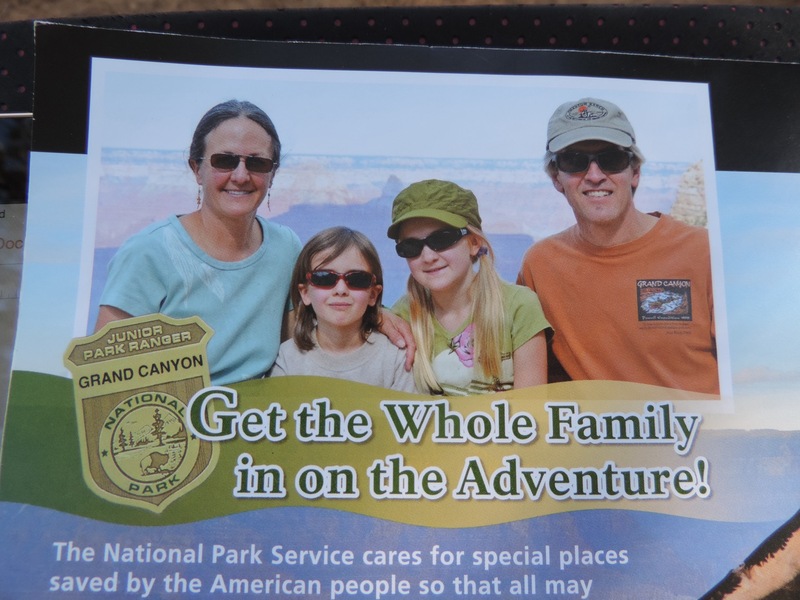 The picture on the back of the booklet promotes all ages, highlighting a family, completing the program. The patch you cam buy in the bookstore, after completing the program, is specific to your age group. This is nice, especially for the younger children. Over a period of years they could earn 3 patches, the free badge stays the same. All ages have to attend one ranger program and complete 4 activities that match your age level or 3 age-related activities and do a litter or recycle pick up. 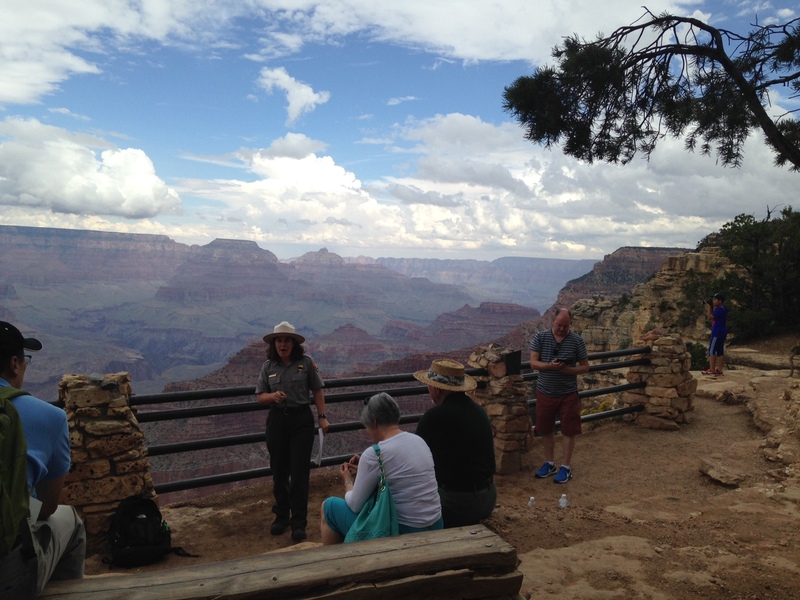 The ranger program I attended was titled “Geology Glimpses” and was conducted outside the Yavapai Geology Museum, right on the rim of the canyon! The activities I completed in the book were titled; Warming Up Your Senses, The Dynamic Canyon, Wildlife Detectives, Cinquain Lane,and Life on the Edge. I also did a few of the other activities. As a Senior I feel like I should do a few more than the minimum required. All of the activities were enjoyable and as usual, I learned something new about the canyon. Life on the Edge has you complete a story about an ancestral Puebloan family that lived here 800 years ago. The words given to fill in the blanks helped to realize what their life would have been like at that time, very different from mine! 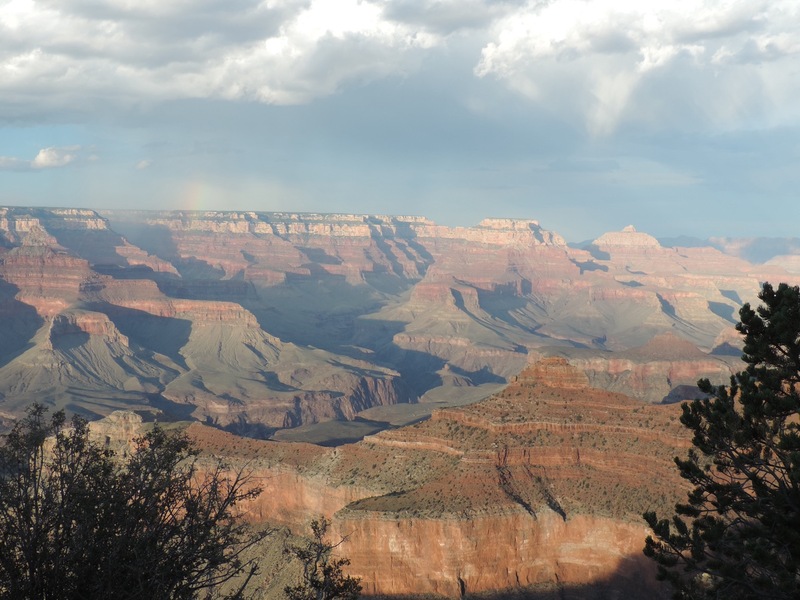 A cinquain poem is easy to write and helps me to focus on the environment, I wrote mine about hiking at the canyon. Wildlife Detectives has you record information about wildlife you saw and evidence of wildlife, that you may not have seen. 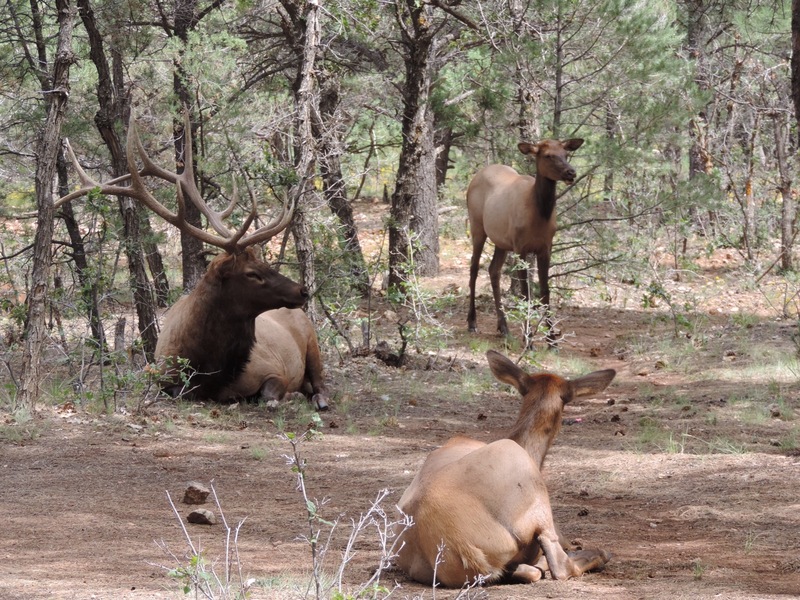 Right in the campground, near our camping site was this group of elk – amazing! After the ranger at the main visitor center reviewed my booklet she completed the certificate included in the booklet and gave me the badge. Across the plaza, at the bookstore, after showing the certificate I purchased the colorful Scorpion patch.